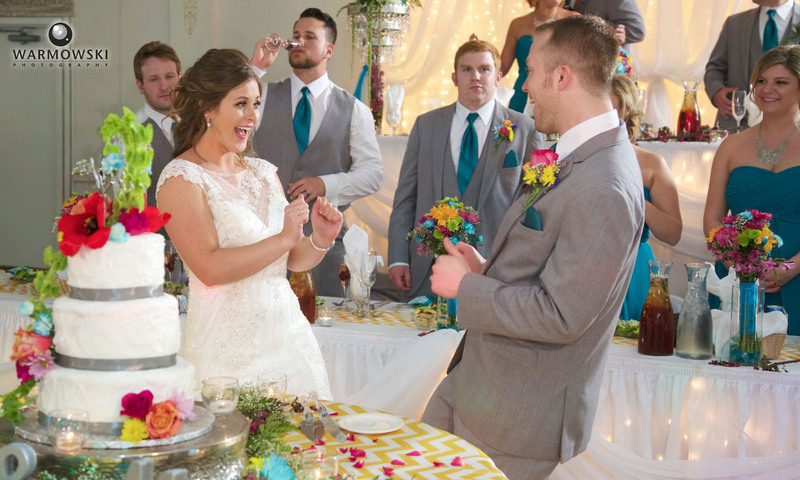 There are a few ways I’ve seen to honor other married couples during the course of your day. 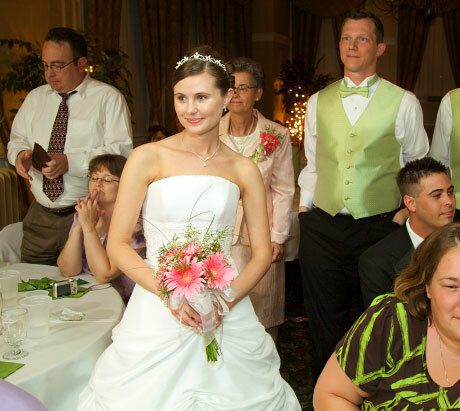 Allison holds her bridal bouquet while the couple married the longest finishes their dance at the reception celebrating her marriage to Eric Sunday, May 24, 2009, at Hamilton's 110 N. East in Jacksonville, Illinois. 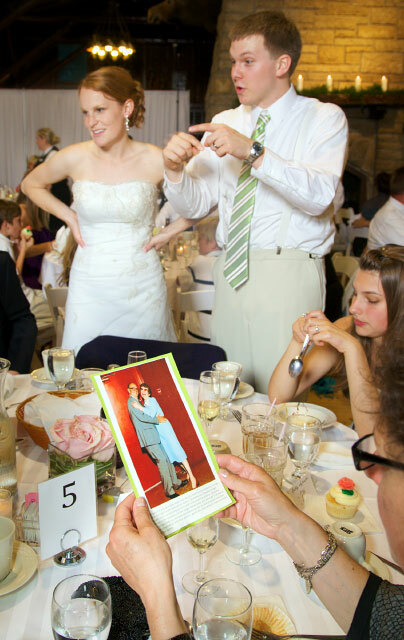 As the bride, presenting the older woman with your bridal or toss bouquet is a good alternative to throwing it to eligible bachelorettes, especially if there are not many unmarried women on your guest list. Another idea we saw for the first time at Jackie and James’ wedding was honoring couples at each table during the reception. 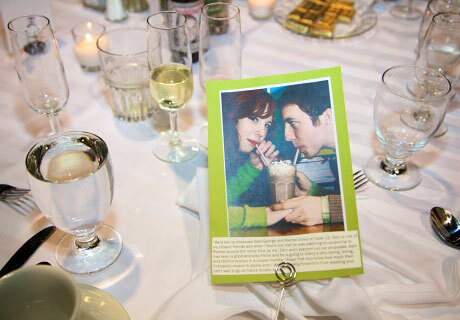 Each table had a photo of one of the couples at that table with a write-up about them and why they were being honored. It was a great way to break the ice if those at the table don’t all know each other as well as a wonderful way to make others feel special during YOUR special day.